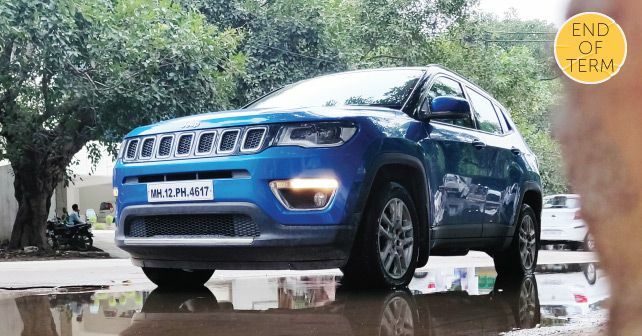 Like I’d predicted last month, after having been in our long-term fleet for almost a year, it was finally time for the Jeep Compass to go back to its home base. But, before it could, it was time for me to take it out for one last road trip. And what could be a more fitting end to the Compass’s tenure with me than taking it for a trip to the winding roads of the Himalayas. As expected, the Compass performed flawlessly. The added bonus, however, was that we even encountered a decent amount of snow in the higher reaches of our trip and got an opportunity to test the Compass’s four-wheel drive system and its various modes. Despite being fitted with all-terrain tyres, the Compass performed flawlessly in the snowy areas around Narkanda and Chail, especially in Snow mode of the Selec-Terrain 4WD system. The 178mm of ground clearance also helps here. And to be honest, after having taken the Compass off-roading on more than one occasion, I must say that I didn’t encounter a single moment where the Compass ran out of talent. Being a newbie at off-roading, for me these trips were more about me hitting the limits of my talent, but I could tell that the Compass is capable of vastly more. Off-roading aside, the other fantastic aspect of the Compass for me is the wide breadth of its capabilities. The 4.4-metre length of the car is the perfect size for my daily commute in the Delhi NCR area, and at the same time, it has enough interior space for my family – both for daily running around and even for long road trips. The suspension setup too is something to revel in, and the balance between the ride and high-speed stability is an absolute peach. Adding to this experience is the 170bhp from the 2.0-litre diesel engine, which means that it performs irrespective on the road condition. I have primarily two gripes – given the ever-increasing traffic, a combination of automatic option with the diesel engine would’ve done wonders, and I think in the age of connected cars, the multimedia screen of the Compass needs a little bit more real estate. But, other than that, there’s nothing that I can really fault the Compass for. And after a full year living with its supreme performance, I’m sometimes quite tempted to buy a Compass with my own money. It’s really that good.